The fisherman is one of the fundamental role in old agricultural based China. 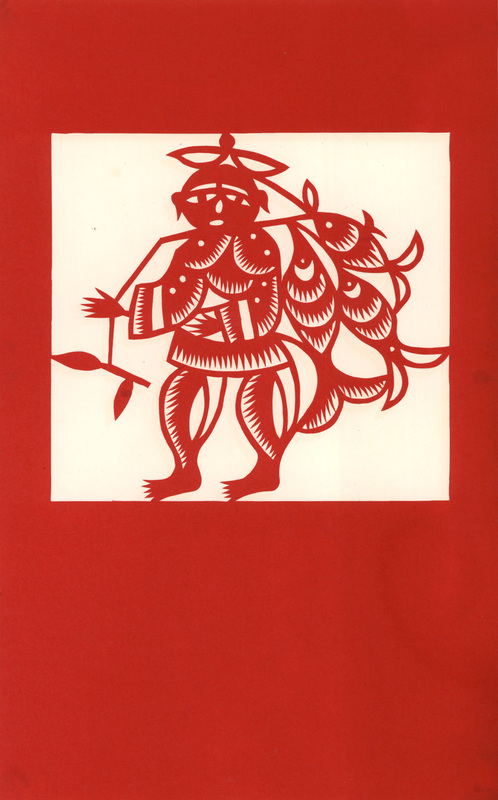 Fisherman, wood cutter, farmer and intellectual are the four main roles; they have been the theme for many artworks, in fact, the 4 are a collective noun “yu qiao geng dou”. Yu refers to the fisherman, yan zi ling, Yan was a classmate of the first emperor of the East Han dynasty. Despite numerous invitation to become an government official, he declined and remained a fisherman until old age. Qiao, was the wood cutter Zhu Mai Chen, a high official of the Han dynasty. Zhu love reading, from a poor family he was in such poverty that even his wife left him but for his determination he was recognized. Geng, farming, is Emperor Shun (the legendary second emperor, 1700BC) teaching his people how to farm. Dou, the intellectual, is Su Qin, the hardworking scholar who would use an awl to pitch himself if he has fallen asleep at his study. The phase “yu qiao geng dou” not only recognized the 4 roles being fundamental, it also projected a desire of the rural commoners to become the part of the officials. In spite of a sad looking Fishman, this is a great story post !